A bit more difficult than anticipated to put together, but the results are great. My son loves it and could not be happier driving it around the backyard. My three year old grandson loves his tractor and all the moving parts! Only complaint is he got this for xmas and the wheels don't move in the snow?? we made homemade chains and he now he help move snow and clean up after the horses! 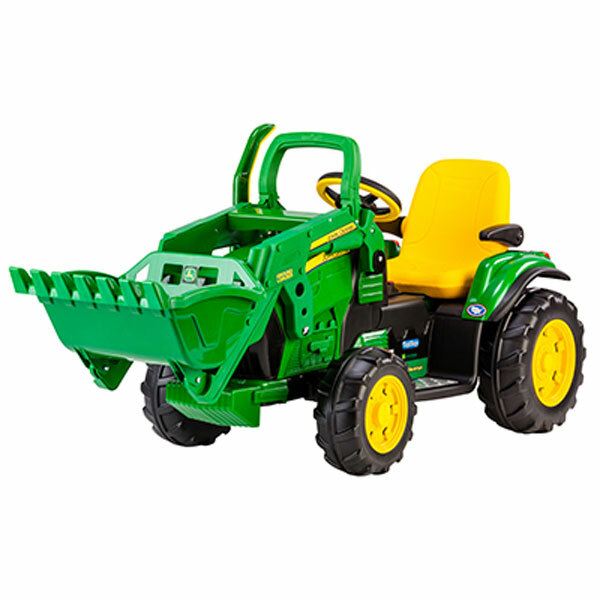 Great little tractor!